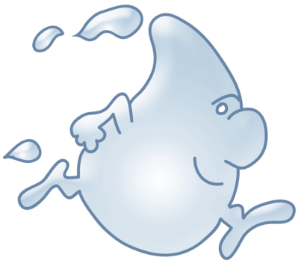 Maytag refrigerator water filters ensure your refrigerator continues to dispense filtered water and ice. These water filters improve the quality of the water from your refrigerator dispenser and may remove harmful chemicals such as lead and excessive chlorine, allowing your family to enjoy clean, clear, and great-tasting water. Filters for Maytag refrigerators do not remove beneficial minerals such as fluoride so that they continue to protect your family’s health. In addition to protecting your family, these filters also protect your refrigerator from the damaging effects of limescale buildup, allowing your equipment to work more efficiently and extending the life of your refrigerator. Maytag makes filter installation easy, providing easy-to-follow instructions for each of their refrigerator models. Follow these instructions to install your new water filter without the help of a professional and enjoy clean water from your dispenser all year round. 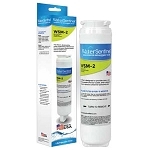 To provide you with considerable savings, Water Filters Fast offers aftermarket refrigerator water filters from well-respected brands such as WaterSentinel. 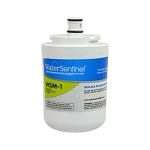 These provide equal or better filtration to original filters at a greatly reduced cost. When replacing your Maytag water filter with an aftermarket alternative, remember to check for compatibility before settling on a purchase. Many aftermarket filters fit on a wide range of Maytag refrigerator models, giving you the flexibility to use the same filter on multiple appliances without worry. Both Maytag and aftermarket refrigerator water filters typically last up to six months or 300 gallons of water, so you and your family can enjoy many months of filtered water before replacing the filter. These filters may also be available in bulk packages to extend the time required between purchases while also offering savings over purchasing individual filters.